I love meeting my learners each day (except Wednesday which is my “recharging” day) because they bring so much fun and joy. Nancy Jane, one of my earliest and best supporter whose greatest achievement was reading. She now tells me she understands so much more. Recently, she watched my video in Weimar, Germany (where I currently live) and she could understand it with ease, yeah! Alan, a dedicated Russian polyglot who I believe continues to acquire 10 languages right now! Athena, who is studying how to become un nez, a perfume tester in Versailles. Chris, my first “YouTube customer” who continues to self acquire French! I believe what most language learners have in common is that they are passionate about learning about another culture and another way of thinking. However most of them, most of us lack confidence at some point. We are afraid of “outputting”, of speaking, sounding like a foul, making mistakes. We speak the same tongue, but we may not speak the same language. The other day, I was listening to the Momfident podcast on how to overcome fear and self-doubt as a Mamapreneur and Frenchfidence came to my mind! 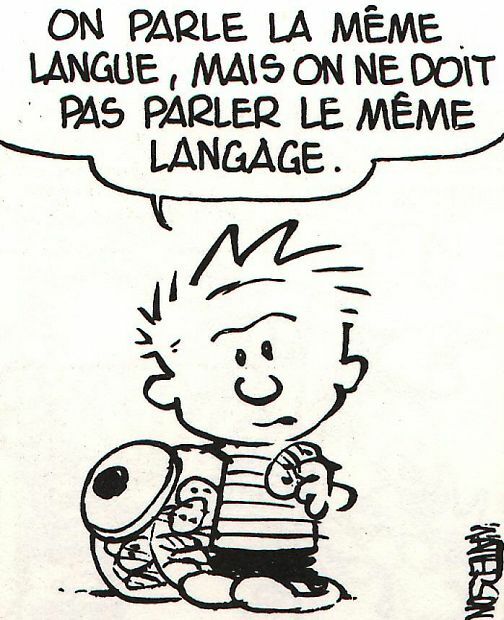 No matter how I keep repeating that a language is only a tool to communicate, there is this fear of making a mistake. BUT when you were a child, you didn’t care! You just talked to you caretakers in single words or chunk of words, at times you were not even pronouncing them right but you made yourself understood. And little by little, by listening to people talking around you, you became fluent. I see this type of behaviour happening with my 3 years old every single day. He absolutely doesn’t care about making a mistake, he just wants us to understand what he wants! So he says things AND he listens! So to gain French confidence, act like a child! Listen, read and speak without fear. As adults, one advantage we have over toddlers is that we can read. It is a BIG advantage when it comes to acquiring another language. When you can read a whole article in French or a chapter book, you confidence rises AND you are acquiring new language too. 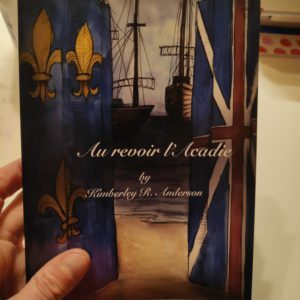 This week, let me introduce you to a new French reader Au revoir l’Acadie which is about the history of Canada. The story is set in 1755 when a war is going on between the French and the English territories in Canada. Marie and her family live in Arcadia, and consider themselves ‘neutral’. But one Sunday, the village is attacked by English soldiers, who declare Arcadia to be English territory. 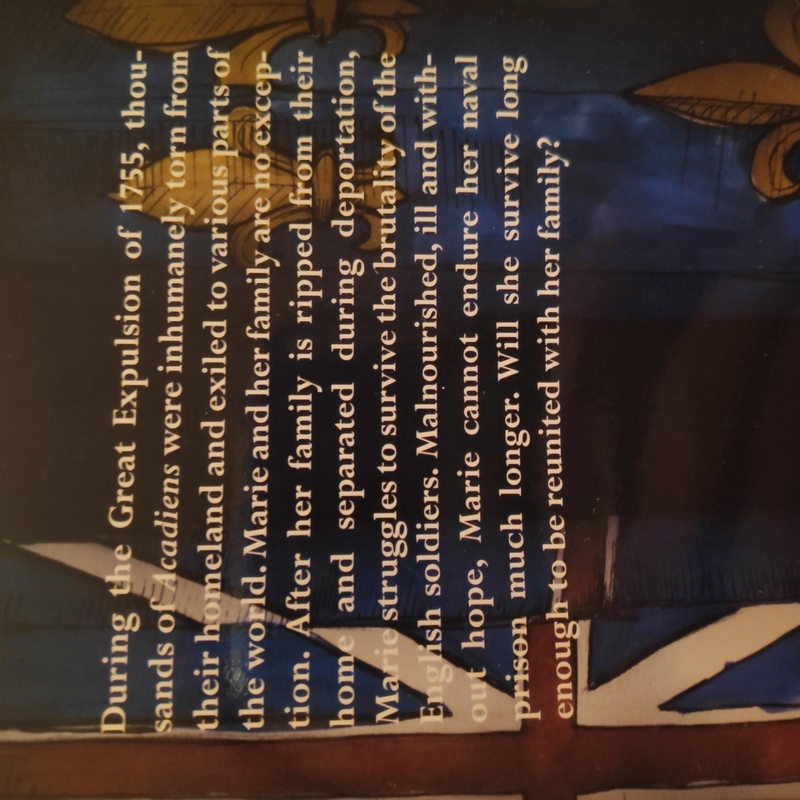 I personally did not know about l’Acadie and what happened in Canada at that time so this was very interesting to me; furthermore because my fantastic Latin teacher, Michael Champagne is from Arcadia! 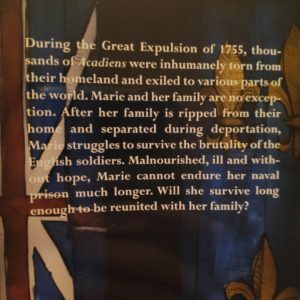 This book is perfect for French advanced beginners to intermediate. In my report about the book, I use the expression ” âme sensible s’abstenir ” which literally means sensitive soul, abstain or refrain! The story which is an historical event is tragic so beware! Be sure to share my videos with you family, friends, colleagues… Anyone who wants to acquire French naturally and joyfully! I love hearing from you so keep up sending me feedback. I am here to help you acquire French effortlessly. P.S. The 30 scripts of the season 1 videos are still downloadable as eBook (pdf). Merci, Thank you to all who have already purchased it. Please let me know what you think. Support the free videos on YouTube without ads by downloading it. P.P.S. Yearly and monthly subscription to over 150 exclusive stories and podcasts will be available later this year. An exciting collaboration with Spanish teacher, Adriana Ramirez who teaches in Canada starts in February! Watch this space! < French the natural way : l’objectif de l’année !